The Autumn Cottage Cross (Large) Stitch Pattern to print online. 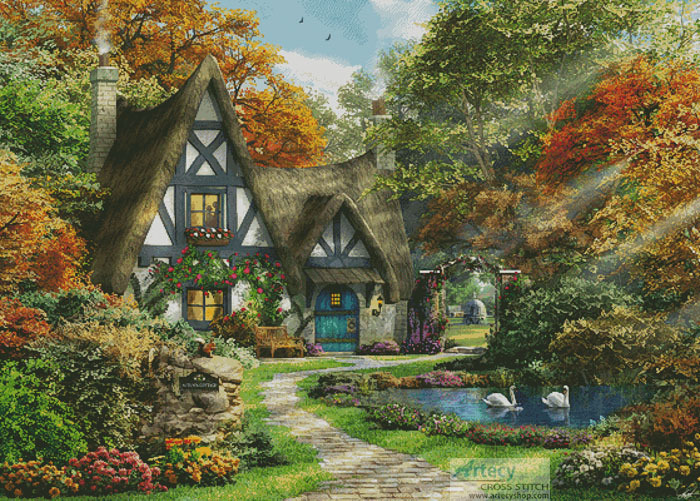 This large counted cross stitch pattern of a Cottage and Garden at Autumn was created from a painting by Dominic Davison. Original image licensed through Meiklejohn Graphics Licensing (MGL).